The 9150 series are high performance linear-regulated programmable DC power supplies that provides excellent performance and features not found in other supplies in this price category. 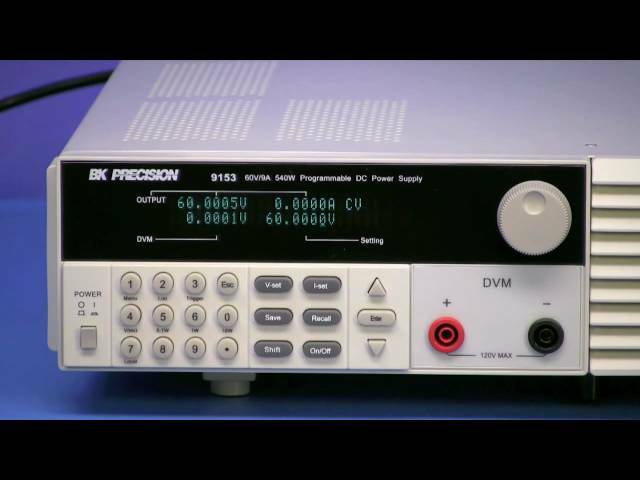 These supplies are designed for applications in design verification, production or university labs that require high yet clean and reliable power, combined with excellent resolution, accuracy and fast transient response time. RS232 to TTL Interface Kit, This is the RS232 to TTL interface kit includes both the RS232 to TTL adapter and a RS232 DB9 to DB9 cable. USB to TTL Interface, This is the USB to TTL interface replacement part that was originally included with its paired product. A standard USB cable is included. Rack mount kit for select models, The IT-E151 is for rack mounting of compatible products in either a side-by-side configuration, or single unit configuration where a provided blank is used to fill the empty space. The dimensions for the kit are 5.24" (133mm) by 19" (482.6mm).